That’s right folks! Back due to popular demand (on loan from the RIAA) - The John Doe copyright suit. Followers of the ongoing copyright saga in North America are probably all too familiar with the thousands of John Doe suits brought by the RIAA against college students and soccer moms caught downloading music between 2003 and 2007. Though that title wave of litigation has seemingly subsided in the past few years, Hollywood appears to be suffering from a bad case of litigation envy. 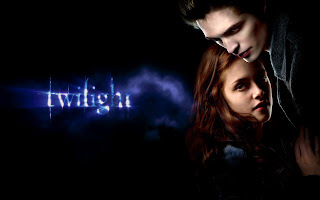 Kidding aside, Summit Entertainment, the studio responsible for the Twilight series, recently brought suit against ten anonymous defendants for having posted still photos from the upcoming Twilight “Breaking Dawn” movie. There is no doubt in my mind that such behavior is copyright infringement. The people who posted those images had no business doing so without the permission of the rights holder- Summit. The question becomes what to do about the infringers. American copyright law comports a peculiar incarnation of what are known as statutory damages. Simply put, statutory damages are a form of monetary damage award prescribed expressly by a law. The plaintiff need not show proof of real damages. They must simply show that the right in question has been violated. Statutory damages often have a range within which a judge may exercise their discretion when ruling. In the United States, statutory damages for copyright infringement range from $750-$150,000 per infringement. This is a rather large range. Surprisingly, neither the law nor the jurisprudence provide a cohesive test or criteria upon which one should determine the amount of damages awarded. In this case, Judge S. James Otero awarded Summit $50,000 in statutory damages against one of the defendants. According to professor Pamela Samuelson and Tara Wheatland of the University of Berkeley, the $30,000-$150,000 range is reserved for “willful infringers”. Though some people infringe copyright without being conscious of it, the vast majority of conceivable copyright infringements are willful. We don’t accidentally stream a movie or download a song illegally. Nor do we accidentally post photos from an unreleased film on Twitter. Still, this range seems both inflated and arbitrary. The implications of this case go far beyond the ten defendants. Success by Summit may prompt other studios to take similar action. A practice employed widely in the music business may become substantially more common in film as well. Though I am a firm believer that copyright is vital and that rights holders should have remedies in cases like this, there is probably a better way to go about it. Something about a $50,000 award for actions that will most likely have the effect of bolstering the buzz attributed to this film strikes me as cruel and unusual.